2012 was a great year for the Applied Behavioral Strategies blog. We had almost 100,000 visitors in total. Here is a list of the most visited blog postings last year. The great news is that I wrote some of the most visited posts in 2011. I am pleased that my posts remain relevant for readers. #5. Early Morning School Routines. Who doesn’t need help with this? Seriously, it is THE most stressful time of the day for my house. #3 Autism Awareness Apps. I really need to update this link. I will be sure to do so in time for April give aways. Keep in mind that I’m also presenting on this topic at SXSW in Austin, TX in March, 2013. #2. 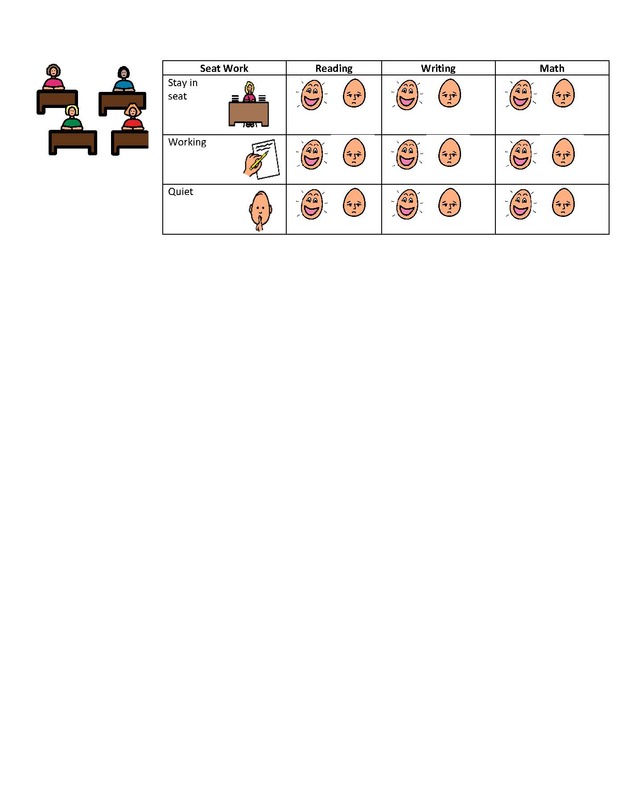 Do You Use Visual Schedules? Wow. I am pleased that this topic is still a hit. If you aren’t using visual schedules, you should! In my home, we use a homework whiteboard every day and it makes our afternoons a BREEZE! #1. 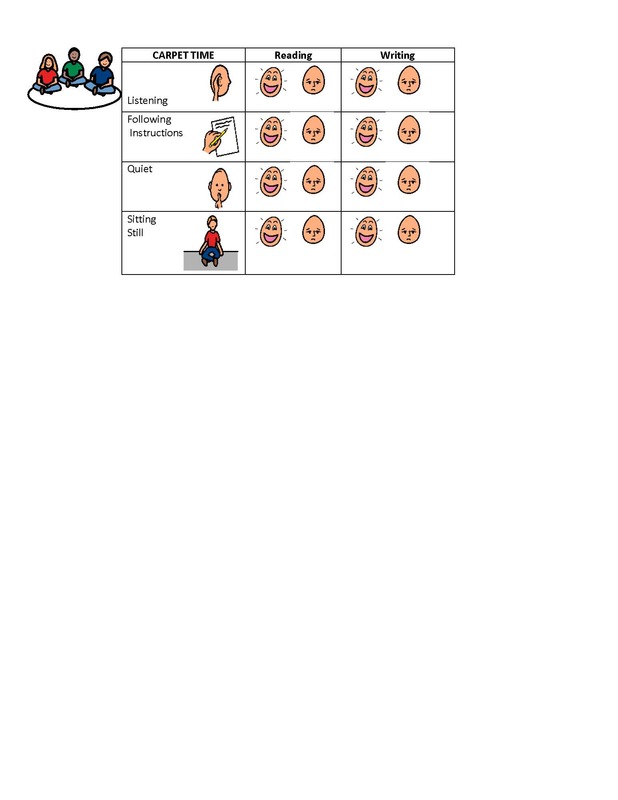 Using ABA to Teach Math. I had no idea when I wrote this post that it would become so popular. The great news is that ABA may be used for a variety of skills! I cannot thank you enough for your readership! Keep the reading, following, sharing, ideas, feedback, and questions for Ask Missy Monday coming! Is there any research to support social stories or visual supports? We do ABA. Social stories aren’t behavioral. My child cannot read so why should we have a story? While Dr. Gray has created a trademark, there are many options beyond what she describes. Because social stories and visual supports should be individualized, the content should be determined based on the individual’s needs. For example, a mom here in CT created a social story for her child regarding Hurricane Sandy. The story included information about the storm, how it would affect trees and power, and how power could be restored. The story was developed for her son because the issue of losing power is important for him. He becomes upset if he cannot turn on lights or play on computers. However, another child may be scared of the wind or scared of the heavy rain. That child would need a story that focuses on the wind and the rain and how to make the noise go away. And then another child may not fully understand why she cannot go to school. Because she cannot read, her story may show a picture of wind and rain and a picture saying “no school”. The story would end with a picture of the little girl at home working with her ABA therapist. We have written about visual supports before: here, here, and here. We recommend only evidence-based strategies for our readers. So obviously there is ample research to support social stories and visual supports. A research group has developed a list of evidence-based practices for individuals with autism. Social narratives and visual supports are both on the list. For additional information on those practices and to read the research visit here. ABA, applied behavioral analysis, is simply the application of behavioral principles, to everyday situations, that will, over time, increase or decrease targeted behaviors. For additional information on ABA, visit our website. Thus, the use of visual supports and social stories does not preclude someone from doing ABA. Similarly, implementing ABA does not preclude someone from using visual supports and social stories. I hope this helps to answer the many questions about social stories and visual supports. If you have a behavioral question for me email me directly at askmissy at applied behavioral strategies dot com. Thanks! Hi! and welcome to What Works Wednesdays where we share a success story from our clinical files. Today, we are going to take a pause from our personal stories and share a resource with our readers. The resource is called the What Works Clearinghouse from the Institute of Educational Sciences (IES). the website for the resource is http://ies.ed.gov/ncee/wwc/. Educators (special education and general education alike) are required to use evidence-based strategies in their teaching as required under the No Child Left Behind Act and the Individuals with Disabilities Education Improvement Act. Educators often find it difficult to determine what strategies have evidence. As a result, the Institute for Educational Sciences (which also happens to hand out research money to educational researchers) developed the clearing house as a resource. The criteria used to determine if a methodology may be listed in the Clearinghouse is very stringent. However, if you are ever in doubt about teaching methodologies and “what works”, their website is a good place to start. Here at Applied Behavioral Strategies, our mission is to improve the quality of life through effective intervention. One way we hope to do that is by reviewing research articles for our readers. Today’s article is titled, “Evolution of Research on Interventions for Individuals with Autism Spectrum Disorder: Implications for Behavior Analysts”. Dr. Tristram Smith (Tris) authored the article and he recently presented the paper at the Annual Conference of the Association for Behavior Analysts in Seattle. This article is somewhat different from the other articles we have reviewed. In the past, we have reviewed research studies where authors gather data, analyze the data, and present the results. This article is a summary of the autism research that is ongoing today. Over the past half-century, hundreds of papers have been published on the effectiveness of Applied Behavior Analysis (ABA) for individuals with autism spectrum disorders. Those interventions have been used to teach communication skills, play skills, self-help and those interventions have successfully addressed challenging behaviors such as self-injurious behaviors and tantrums. Today, scientists in fields other than Behavior Analysis are conducting studies related to autism. The Combating Autism Act of 2006 and reauthorized again in 2011 was a declaration of the war on autism. This act resulted in hundreds of millions of dollars for research on autism with a large percentage of it focused on intervention efforts. Scientists can now apply for specific autism research money through Autism Speaks, the National Institute of Mental Health, the Institute for Education Sciences, the Maternal and Child Health Bureau, and the Department of Defense. A number of studies have been funded. For example, two studies on psychotropic medication have been completed. Those studies resulted in the approval of the use of abilify and resperidone for treatment of children on the spectrum. Several studies on ABA packaged interventions have been funded. However, the treatment is brief and often implemented by non-behavior analysts. Studies on clinical behavior therapy and cognitive behavior therapy (CBT) have also resulted. Researchers examined social skills interventions, anxiety reduction strategies, and interventions for individuals with high functioning autism. Dr. Smith notably discusses the relevance of this to behavior analysts. Essentially, the money is available for research. If behavior analysts do not seek out the funding, other scientists will. He goes on to list areas of work where behavior analysts should focus. Dr. Smith encourages researchers to conduct careful tests of individual intervention packages before moving on to RCT research. Dr. Smith notes that some areas of ABA are ripe for RCT research, specifically comprehensive ABA interventions for school age children, youth, and adults. Dr. Smith suggests that we refine the defining features of autism through behavior research. Behavior analysts have long been successful in reducing stereotyped behaviors. This should be studied using RCT. Behavior analysts need to study intervention packages for behavioral feeding therapy. Dr. Smith encourages behavior analysts to develop thorough treatment manuals so that procedures may be replicated successfully. In summary, we have a duty to ensure that research in autism interventions continues. If we want to continue demonstrating that ABA is effective, we must seek out this funding, design studies to demonstrate effective techniques, and disseminate our work so that others can implement successfully.